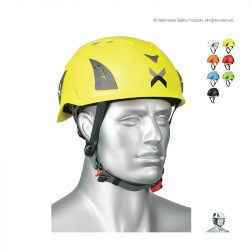 APEX Multi Impact Helmet is designed with the best features for an industrial quality helmet for work at height and general site safety. Built to mountain engineering certification, the APEX Multi Impact helmet is built to last and has provision for all the standard accessory types that are needed on the job. 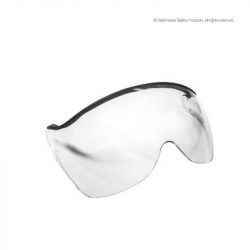 Impact and penetration protection meets and exceeds AS/NZS 1801. Integrated half face visor can be added in Clear (APX-V20) or Smoke Mirror (APX-V21) to the helmet. Scratch & fog resistant for complete protection. Notes: Industrial hard hats are only designed to protect the head from falling objects. 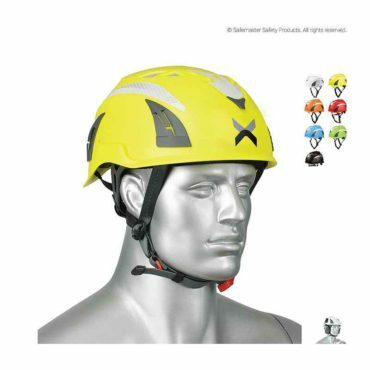 For work at heights, it is essential that in the event of an uncontrolled fall the helmet is retained on the head and can withstand multiple point impacts. 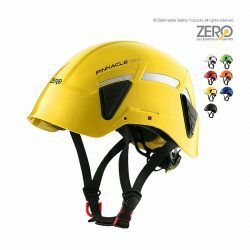 AS/NZS 1801:1997 does not meet these requirements.When fall arrest systems are used, an appropriate safety helmet shall be worn instead of hard hat.